We have a large number of Macs and students can use programmes such as Adobe InDesign, Illustrator, Photoshop, After Effects and Final Cut Pro. We are fortunate to have a fantastic display and exhibition area in the Winter Garden where we showcase a wide variety of student work throughout the year. This space also works as additional work space. 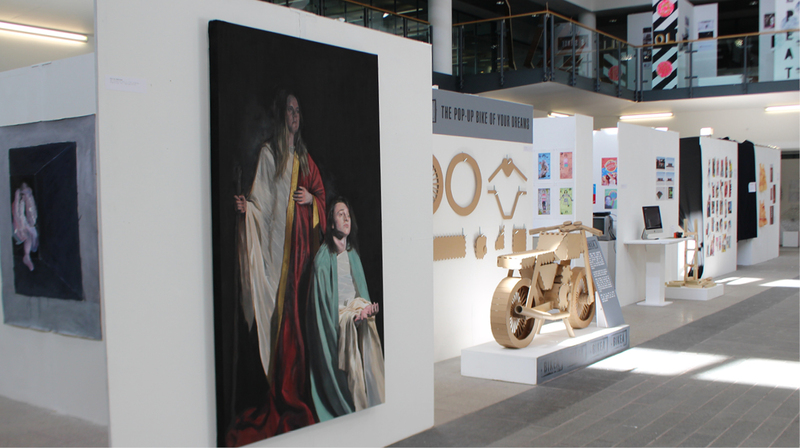 All students have the opportunity to exhibit their final major project in the end of year show. Click here to view Diploma Shows and student work.